← A6 to Manchester Airport Relief Road: no economic case and a dodgy consultation. We are keen to learn from experiences in the ‘majority world’ to give us clues as to what an ecologically and socially just society would be like. That’s why SSM is celebrating the contribution of Wangari Maathai this week. More details below. See her obituary from the Guardian, September, 2011. 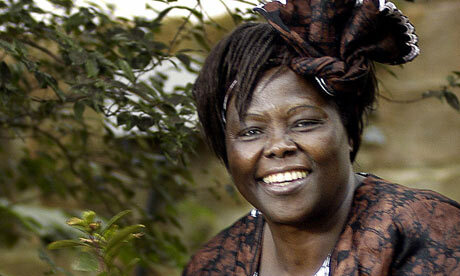 Wangari Maathai – photo is at http://www.plt.org/words-to-live-by—a-tribute-to-wangari-maathai where there is an intersting article about her. This entry was posted in Practical Solidarity, upcoming events and tagged LinkedIn, majority world, repair, trees, Wangari Maathai. Bookmark the permalink.